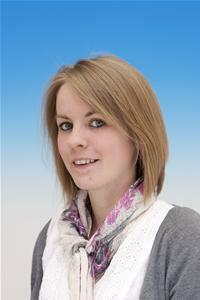 PLAYING WITH FIRE - ILL MANORS TAKE I WITH ELLIE ROBINSON, COUNCILLOR FROM FOREST GATE NORTH, NEWHAM COUNCIL. So, let's start the "Games". Ellie, first of all tell us if you know Ben Drew (Plan B) and in what way this record was received by you and since you are part of the local Labour party how did the Council react to its release and major attention brought to that particular region in the UK both by the record and also the motion picture release. I do not know Ben personally, I am acquainted with his family. His mother was on the same governing body as me. The Council did not respond to the film and to be honest it did not get enough coverage for the Council to have been expected too. Being this record mainly a social picture of a certain Britain, more focused on the 90's give me your view as a citizen about growing up around Forest Gate and surroundings that are mainly the central landscape of this record and the place Ben was raised. Most people who grow up in Forest Gate do not experience the type of social circumstances the film portrays. However I have known people to experience knife crime and prostitution and other issues highlighted. These are definitely things that happen in Newham as they do in other deprived areas. However Newham is also a place of opportunity, we have the youngest population in Europe, and the most multicultural community in the country. We have just had the Olympic Games in Newham which has bought regeneration. Our schools, against popular belief, achieve very well for our young people, above national average. I have really enjoyed growing up here as you learn so much about humanity. As a social active person what you think that should’ve been done in the past to avoid – and I’ll quote Ben on last week’s (at the time this Q&A took place) interview at the Jonathan Ross show – “the main reason that we had the riots is because we have a generation of kids that in-parent (I suppose the parents) no one show them love...they feel they are not worth, they walk at the front door and read the newspaper and the media tells them the same and the society reads the newspaper and they believe it as well. And when they contact with a kid like that they are pre-conception of them and treat the accordingly...” – what should have been done in the past to prevent this to happen and what are you major actual social activities to avoid this in the future? I think we have to make sure young people have a range of good role models, not just their parents, this can be achieved through schools and is increasingly so. The local school, Forest Gate Community school runs a project called Future First in which alumni return to the school and advise the young people on their futures, these are good role models for young people. Besides when I was younger I was never connected to any political party but if I was I’d like to embrace the spirit around a creative moment like this and use it as a social catalyst to improve local policies. How the council interacts with this cultural achievements? We haven't used the film in this way. Have you watched the movie ? 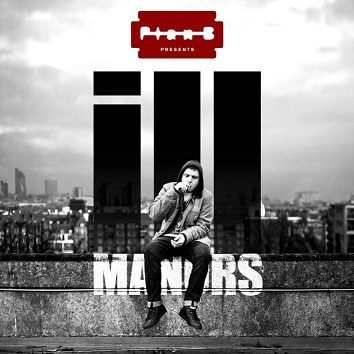 What is your favourite track from Ill Manors? ill Manors and Playing with Fire. · Mark Winterburn, Engineer from Edge Studios after John Delf indication. · Faith SFX - Beatboxer and long time Ben's colaborator and friend. AFTER ALL THERE'S MORE THAN A......PLAN B! My dear friends and followers. I do apologize for being absent for so many time. Writing this stories and articles is something that I love. Music is not my daily activity (banking business is) but is a passion. I've been also searching for a plan B. During this year I was "off", I’ve ended a almost 20 years relation, returned to my childhood house downtown Porto to live with my father unfortunately just for 5 months since he left us last October. A new relationship also emerged but again unfortunately at the present time back to stage zero. My Random Access Memory almost had an overflow :) but my two kids are ok and I’ve also started my second experience at a local TV weekly talking on music and it's been great. Hope to return in the new season well prepared and with more stories on music. Usually I don't get personal but this time I’ve chosen this path to justify why I’m back to talk and return to my in-depth works on the records that I thought were the best on their year of release. And personally because in fact, there is really another Plan B, and it helped me too to move along. Lyrically speaking it was very well structured, a master-piece and make us remember that there's a lot of people with other kind of problems sometimes greater and dangerous ones and Ben is a 'Pro getting his message delivered. I'm working already on my favorite 2013 record until now - Nick Cave's Push The Sky Away - but I couldn't skip the work I did on Ben's record. At the time I’m publishing my first post I hope to still receive more contributions from people that worked on the making of Ill Manors. This record was released in a time where the 2012 Olympic Games were about to start in London and it contains a strong social message that I believe you should ear if you are discovering this record just now. This was the return to the early sound, a mix of rap,hip-hop and soul, may I call it hip-hop soul? I've a global vision on music but I’m more a pop-rock man but loved this record and thought it'd win the Mercury Prize Award but it didn't. Next Post, in a couple of hours with Ellie Robinson. SINCE THERE IS NO PLAN A......I'LL USE MY "PLAN B"! After this long pause, i'll return to my writings now that my musical spirit is more quiet right after the season at a local tv show called Porto Alive. I´ll promise not to be absent again for so long and i hope you like what i'll publish from now. Since in 2011 i dind't publish my "inside" work on the record i must liked (Hurts - Happiness) since the management reacition was bad and rude i'll restart with 2 in 1. First my 2012 favourite record, Plan B's Ill Manors and right after the best from 2013 until now, Nick Cave's And the Bad Seeds, Push The Sky Away.